Completely natural, biodegradable hair tie that doesn't contribute to landfill. Strong enough to hold thick hair, yet soft enough to not pull or make creases in your locks. 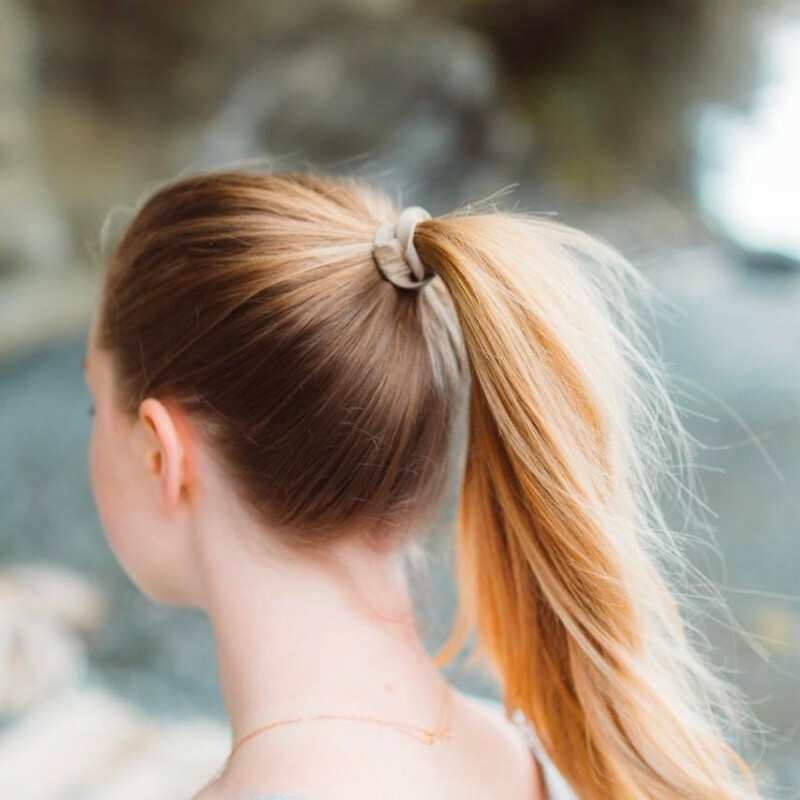 A completely zero waste hair tie solution. Blonde-tone colours. Highly ethical production - Kooshoo works with small family businesses and supports local jobs in Los Angeles. All products are hand-dyed in a solar-powered dye house in Los Angeles. 75% organic cotton, 25% natural rubber. Designed in Vancouver. Made in California. I was a little reluctant of spending so much on a hair tie. But glad I finally did. I’ve been using the same one for 4 months now and it’s still going strong. Other cheap plastic ones would have not even lasted half this time. A must have for anyone. Pricey for someone that loses her hair ties often but I support the ethics of this brand, and hoping it will encourage me to try and not lose any. I like that I can wear it on my wrist when not in use. Tough and sturdy, can tell it is of good quality!